First and foremost immediately read the citations and all related documents. There is a time frame that has to be followed for certain actions, and overlooking documents may only make matters worse. During this step, notify your corporate office that you have received correspondence from OSHA with citations and financial penalties. You are also required to post a copy of the citation and notification penalty immediately at or near each violation. The citation must be posted until the violations have been abated, or for three working days, whichever is longer. The finical penalties are not required to be posted and may be marked out prior to posting. Identify each location, machine, process, and document referenced in the citations, check for accuracy and gain an understanding of the citations. Review abatement dates and confirm ample time to comply. 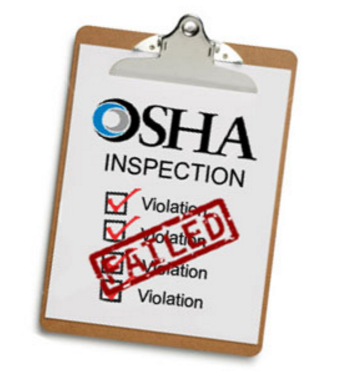 Never let an abatement date elapse without notification to OSHA. Note the proposed financial penalties. Determine if there are inaccuracies in the findings. After your review meeting contact your corporate office to discuss if an informal conference should be scheduled with OSHA. If an informal conference is desired, you must meet with the area director during the 15 working day contest period. Also, you are required to post a notice to employees next to the citation and notification of penalty as soon as the time, date, and place of the informal conference have been determined. The documents you received from OSHA will include a form which can be completed and used for the posting. The informal conference is the opportunity for you to bring forth any evidence which you believe support an alteration to the citations and/ or penalties or to enter into a settlement agreement which may amend financial penalties, classifications of citations, or abatement dates. The employer has the right to contest all citation items, or only individual items. You may also contest proposed penalties and/or abatement dates without contesting the underlying violations. Signature, printed name, and date. Your penalty is due within 15 working days of receipt of the citation unless contested. 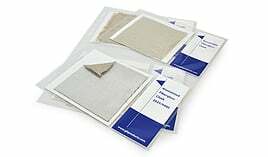 Learn why we think GLT Mat (Temp Mat) is the superior choice as a core insulation. Fill out the form to download our latest guide!